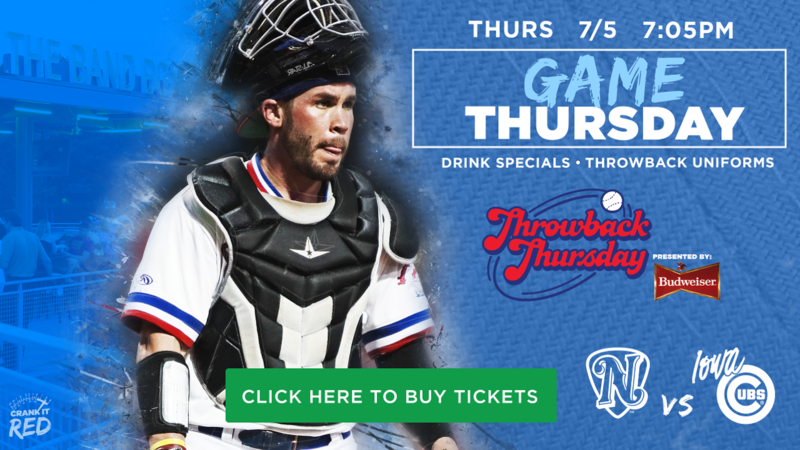 NASHVILLE, Tenn. - The Nashville Sounds Baseball Club returns to First Tennessee Park for a five-game homestand on Wednesday, July 4. The Sounds welcome the Triple-A affiliate of the Chicago Cubs, the Iowa Cubs, for a five-game series from July 4-8. 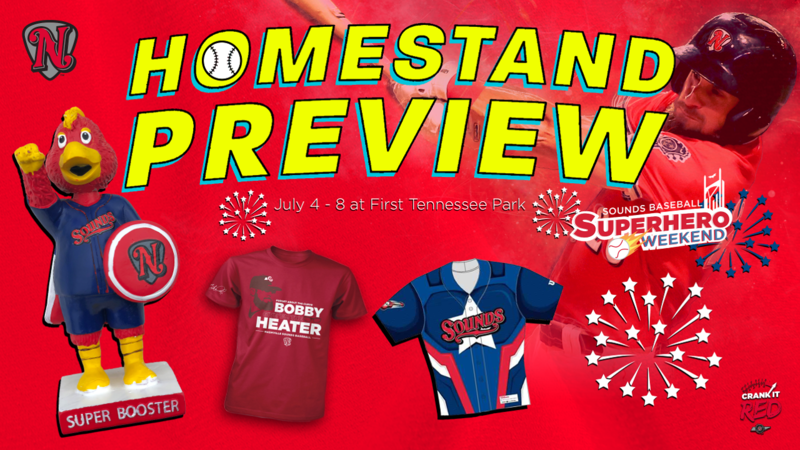 Wednesday, July 4 vs. Iowa - 7:05 p.m.
-Gates open at 6:00 p.m.
-Wear It Wednesday Bobby Wahl T-Shirt Giveaway to the first 2,000 fans - presented by Middle Tennessee Hyundai Dealers. -Pre-game skydivers will land on the field at First Tennessee Park prior to the national anthem performed by Nashville recording artist April Kry. -First Tennessee Park and Hap & Harry's unveils a Nashville Sounds Tennessee Kolsch Golden Ale. -The Sounds will wear their camouflage jerseys in honor of Independence Day. 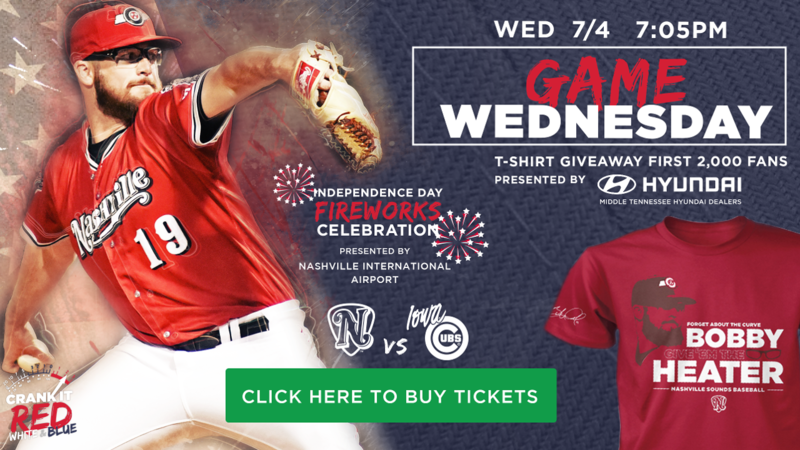 -Post-game fireworks presented by Nashville International Airport. Thursday, July 5 vs. Iowa - 7:05 p.m.
-Celebrate Independence Day with the all-you-can-eat Club Level picnic that includes Budweiser and Bud Light draft beer, soda, water and tea for $55 per person. -Throwback Thursday presented by Budweiser - the Sounds will wear throwback uniforms to commemorate the team's original uniform style from 1978. Fans can purchase Pepsi fountain soda and Budweiser products at a discounted rate. 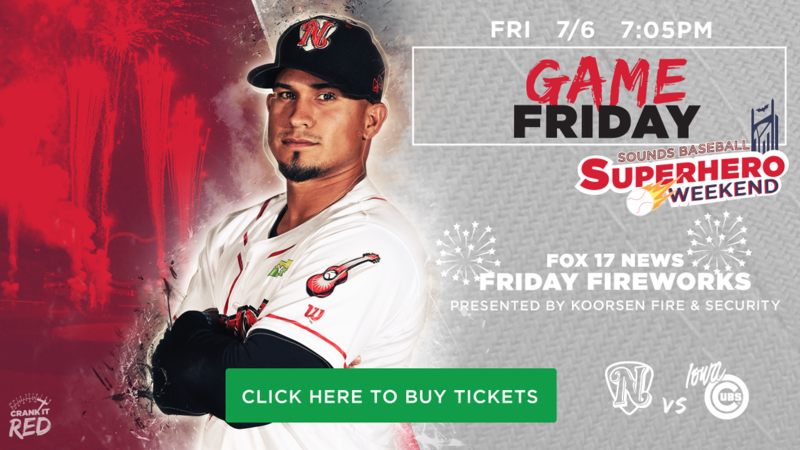 Friday, July 6 vs. Iowa - 7:05 p.m.
-FOX 17 News post-game superhero-themed fireworks presented by Koorsen Fire & Security. 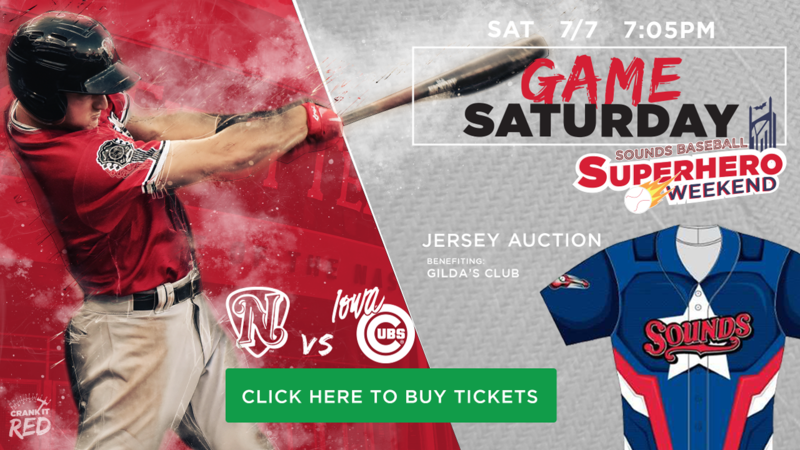 Saturday, July 7 vs. Iowa - 7:05 p.m.
-Superhero Jersey Auction benefiting Gilda's Club. The online and mobile auction will begin at 10:00 a.m. and finish at the end of the sixth inning. Winning bidders in-ballpark will receive their game-worn signed jersey on the field post-game. -Enjoy Saturday at the Park with visits to The Band Box and our Family Fun Zone in the right field corner. 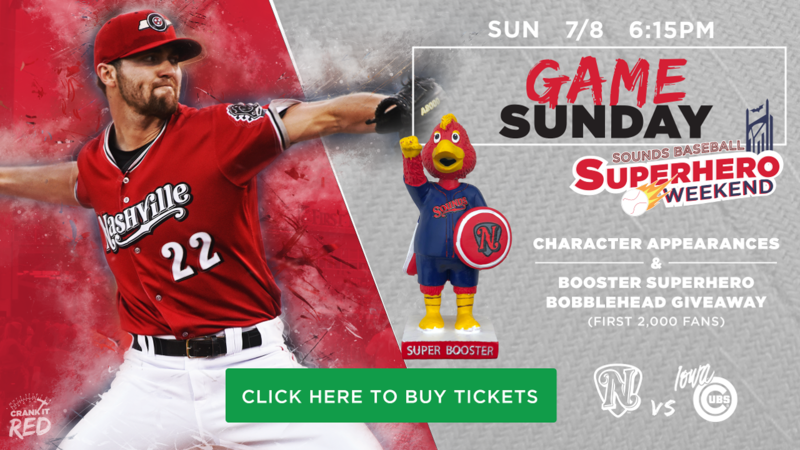 Sunday, July 8 vs. Iowa - 6:15 p.m.
-Gates open at 5:15 p.m.
-Booster superhero bobblehead giveaway to the first 2,000 fans. -Hyundai pre-game autograph session with select Sounds players from 5:15 to 5:30 p.m.
-Military Sunday Family Fun Day - The Sounds extend their military appreciation by wearing special military jerseys on the field and offering discounted reserved section tickets for active and veteran men, women and families - subject to availability. -Post-Game Kids Run the Bases (12 & under) presented by First Tennessee. Seniors and Military families can enjoy a $2.00 discount on single game ticket prices at First Tennessee Park. The offer is valid for any reserved seat section on Sunday through Wednesday games - subject to availability. Offer valid for up to four (4) tickets per I.D. (Seniors 55 +, government issued military I.D. required at box office; no phone orders). The Nashville Sounds' media partners for weekly promotions include Nash FM 103.3, 104.5 The Zone, 96.3 JACK-fm, iHeartRadio, FOX 17 News, and WSMV-TV Channel 4.